Join us for a fun day of golf to raise money for our ministry! 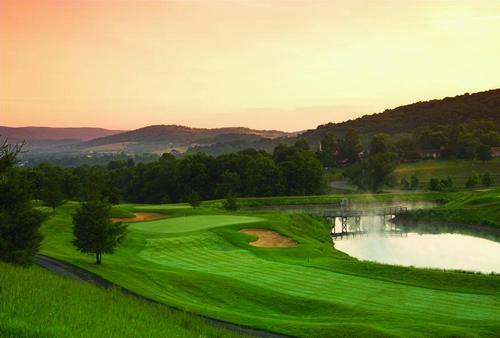 We'll be golfing this year on Friday, May 24 at Musket Ridge Golf Club in Myersville, MD. To be a golfer please register online or by calling our office at 301-663-0561. Check the brochure for more info and a registration form you can mail in. Coming soon we'll have a flyer to sign up members of your church in a foursome! If you aren't golfing but would like to donate online, you can do so here! Our golfers get to enjoy a great day of golf and fellowship by raising pledges of at least $300. We encourage golfers to ask friends, family, neighbors and coworkers to make pledges to our ministry, and we have prizes for our top fundraisers, so don't stop when you reach $300! Golfers- if you'd like to raise pledges on social media, scroll down and click on "Become a Fundraiser" to create your own fundraising page you can share on Facebook, Twitter or Instagram.